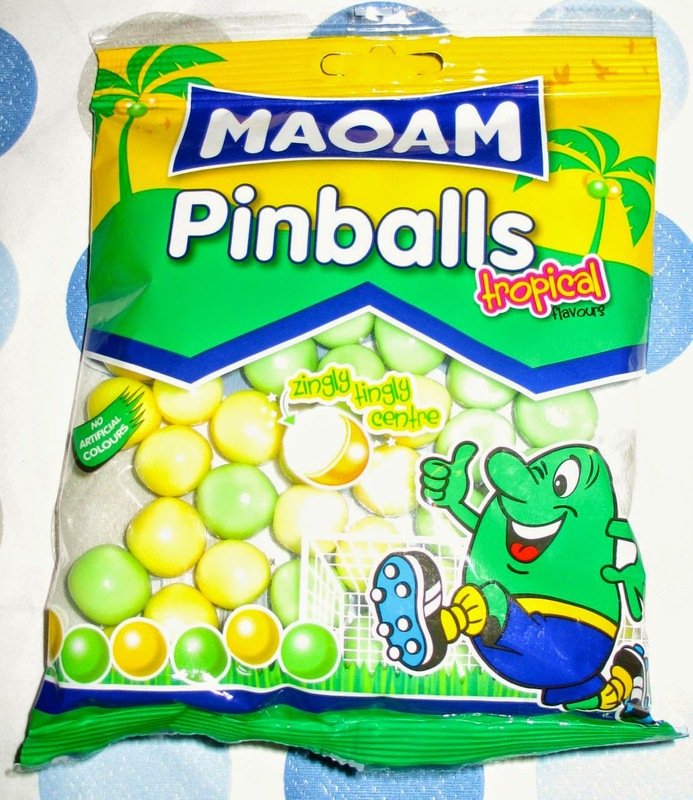 I really had to bite into these chewy sweets to release their flavour, but the clue was in their description. I first tried the yellow sweets and noticed the slight beeswax coating on their outside. On chewing there was an immediate fruity taste of pineapple followed by a zing from the sour flavour. Not a face twisty zing, but certainly a good waker-upper. The green flavour had the same beeswax coating, followed by a fruity sour lime flavour on first chew which quickly turned into a face twisty sour lemon flavour. This sour lemon flavour was reminiscent of fizzy cloudy lemonade that's always so refreshing in summertime. I really enjoyed these sour chewy sweets, they felt healthy having some fruit and plant concentrates in their ingredients, and they had a very refreshing feel to them. I'd certainly have them again and hope that they are not just limited to the duration of the World Cup. 160g bag, and at 100g have 408 calories, with 5.1g of fat and 70g of sugar. There were no artificial colours in the ingredients (see photograph). Remind yourself never to apply for a job at the Food Standards Agency! "...they felt healthy having some fruit and plant concentrates in their ingredients..."
The sugar, glucose syrup and palm fat should sort out any "healthy" feelings.